Women have always had a role in the military, but until more recently this has meant staying at home whilst husbands, brothers, fathers and sons went to fight on the front line. In recent years this has changed dramatically, and for the first time in history women are beginning to take on a more active role in war. In most countries, women are permitted to serve the military, but not extended the same privilege of choice that men have. The UK only allows women to fill artillery roles and they are still prohibited from serving in infantry units, whilst both the US and Turkey allow women to fill combat flying positions. Some countries, such as New Zealand, Canada, France, Germany, Israel and Sweden do allow women to fill active combat roles, showing how far society has progressed since Avis Nixon grew up during World War II. 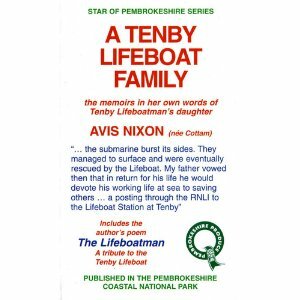 In her book A Tenby Lifeboat Family, Nixon relays her memoirs of growing up during the war and the impact it had on society. Skillfully relating her childhood thoughts and views in a sophisticated and philosophical manner, Nixon manages to mix the naivety of children with the wisdom of age. As adults we are constantly questioning decisions made by government officials, and we each have our own opinion on issues that can be seen as controversial, such as the question of whether or not women should be allowed to serve their country on the front line. Nixon's account is refreshing in its unfaltering, unquestioning state, as war is told through a child's perspective, and each change to her society and to her life is accepted rather than questioned. Some might argue that women in the 1940s were generally more accepting of circumstance, and perhaps this accounts for Nixon's laid back view on life. I disagree. I find it remarkable that when faced with such a crisis, as any war is - with family members being sent off to different parts of the country to help in whatever ways they were able - women seemed to just cope. To remain at home to pick up the pieces of a broken family is, in some ways, a much harder job than being on the front line of the infantry, but is it a job that should only be left down to women? It most certainly is not. Whilst Nixon documents her appreciation for the community spirit that grew out of the war, I wonder if it would have been different had women gone away to fight on the front line and men been left to piece together the remainders of broken families. No one can say for certain, as history cannot re-write itself, but it makes for an interesting and valid speculation, considering the controversy surrounding women's rights to be in the infantry. Nixon tells her tale without a hint of resentment or bitterness towards any individuals or circumstances, but it is hard to find a war story told from a man's perspective that is lacking in these things. Perhaps it is due to the differences in the ways that men's and women's minds operate; women tend to be better at problem solving and decision making, according to reports carried out within the last ten years at Harvard Medical School. Perhaps this accounts for the renowned community spirit during war times, but surely these attributes would be as of much use during battle as they are in a domestic setting, especially when fused with the space perception skills of men. Nixon's language captures nuance effectively, as she allows the reader to apply adult logic and coherence to childhood observations, highlighting the differences between society then and now. The relationship between women and war has and continues to be a complex one, with many women filling roles that would have been unimaginable for our 1940s counterparts. 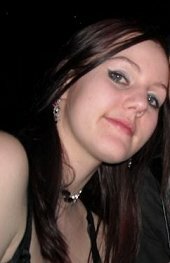 This can only be a good thing in terms of feminism moving forward, but should we have to fight for equal opportunities? It seems that sadly this may still be in the case in many countries, but with the ever-growing numbers of individuals supporting equal rights, we can certainly invest hope in the future. I'd give the book 4 out of 5 stars because other than being a really interesting story it's also thought provoking!